Police say the incident started with a bank robbery. The suspect was injured. 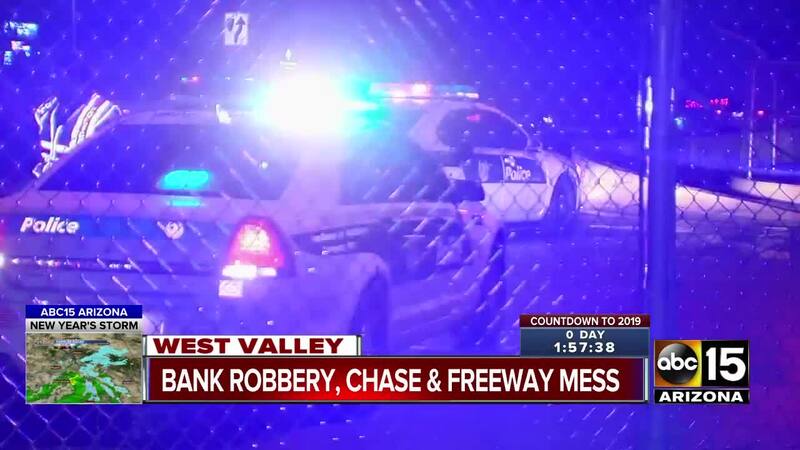 PHOENIX — Officers from the Goodyear Police Department were involved in a shooting with a bank robbery suspect on Interstate 10 on Monday evening. Goodyear police say the bank robbery happened at a Chase bank near Litchfield and McDowell roads earlier in the day. 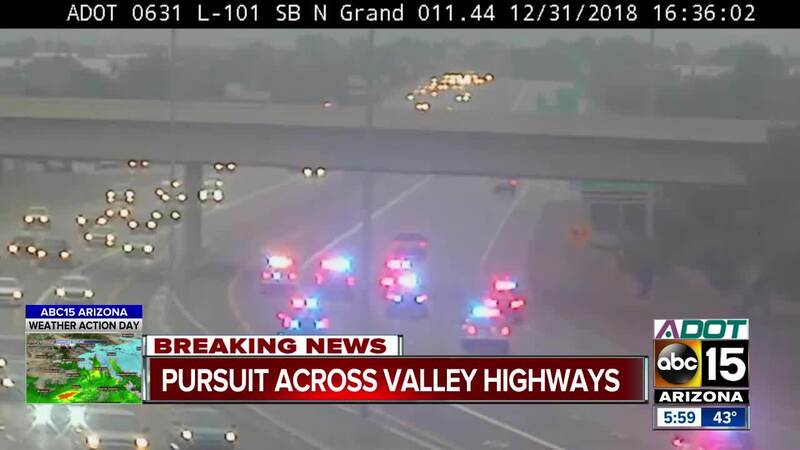 Multiple agencies were involved in a pursuit of the suspect that started on the Loop 101, and moved to Interstate 17 southbound. 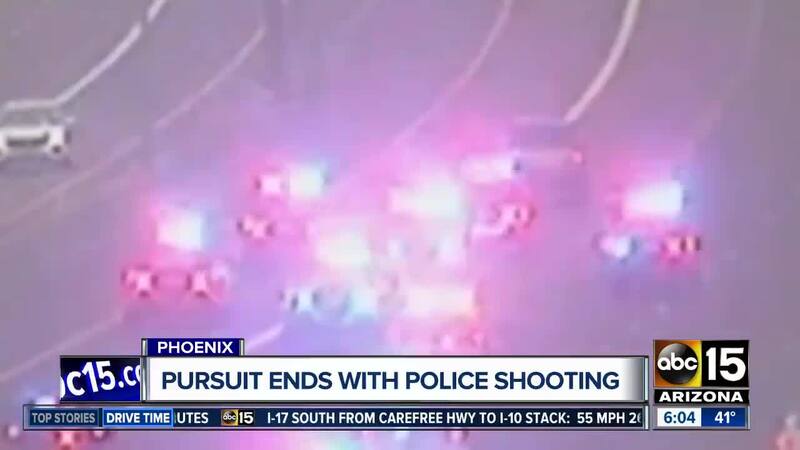 The pursuit ended on Interstate 10 westbound near 43rd Avenue around 5 p.m. Monday. Goodyear police say at least three officers opened fire on the suspect, who is now in stable condition. No officers were hurt in the incident. 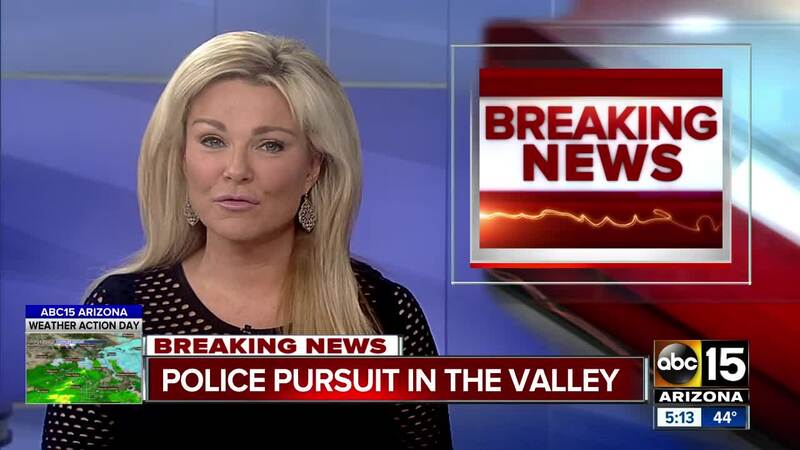 Police say it did appear that the suspect was armed, but it's unclear if he shot at officers. The suspect is an adult male, but his identity has not been released. Goodyear police said Tuesday that the three officers involved were put on administrative leave per department policy. Goodyear officials also said Phoenix Police was doing the criminal investigation of the incident. "This is the first (officer-involved shooting) Goodyear has had in a few years," a Goodyear police spokesperson said. However, this officer-involved shooting was the 82nd incident for the Valley for 2018.